The opening of the annual art exhibition sponsored by the International Women’s Club [IWC] of Bermuda is scheduled to take place at The Gallery in the Chubb Building on Friday, March 9, with a gala from 5.30pm to 7.30pm. 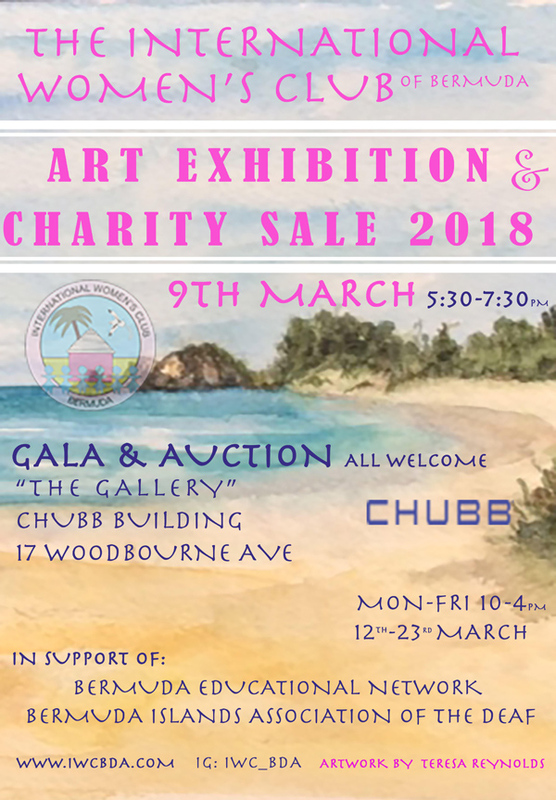 A spokesperson said, “The opening of the annual Art Exhibition sponsored by The International Women’s Club of Bermuda, scheduled to take place at The Gallery in the Chubb Building Friday, 9th March, 2018 with a gala from 5:30pm – 7:30pm. The Gallery will continue to be open daily Monday through Friday 12th- 23th March from 10:00am – 4:00pm.